I graduated from High School and was supposed to go to a college that was strictly for photography. Two weeks before move in day, the school shut down! What would you do? Stephanie Lopes took a year to get organized, and then launched her own business! At first, Stephanie specialized in photographing children and newborns. And that worked well to get her name out into the community around Meriden, CT. But she soon realized that she wanted more flexibility. 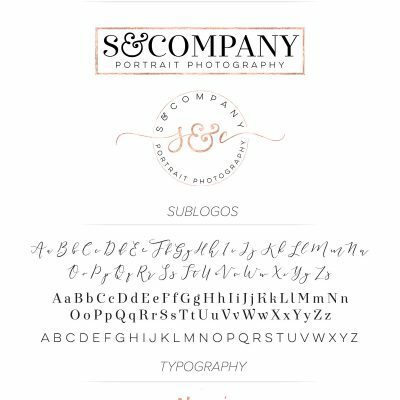 So, a rebranding was in order, and S&Company Portrait Photography became a reality. From Stephanie’s high school experience, it didn’t take long to realize that photography was going to be her life. She was fascinated with the whole concept, from staging a shot, to editing the image, to the finished photo. As yearbook editor, she took many of the team photos. And she went to all the sports games to capture the action. She knew that after high school, she wanted to go professional. Following the drastic college disappointment, Stephanie opened her LLC at the age of 19. Now she’s doing what she absolutely loves. Is there a bigger success than that? She’s happy, and her career is going to take her through life. With that never-quit attitude, nothing will stop her and she can’t wait to continue to grow and meet new people. Connect with Stephanie at S&Company to set up a photography consultation in the Meriden, CT area. Stephanie specializes in location sessions, for all kinds of photography — newborns, children, senior portraits, families, maternity, wedding and events. Check out her beautiful work here, for just a small peek at her range of talent! 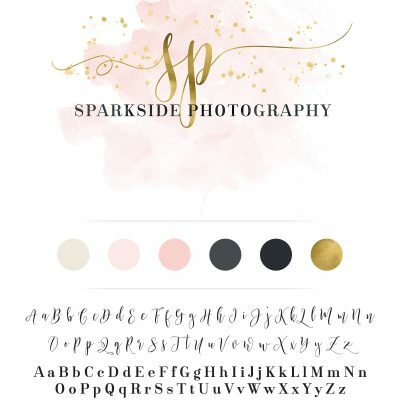 Soon Stephanie realized that her company needed a coherent, cohesive brand, starting with her portrait photography logo! 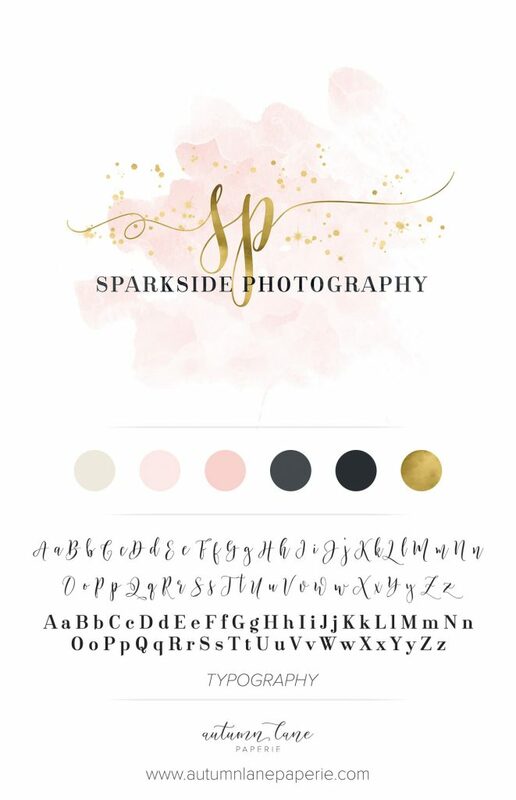 “In the beginning, the branding process was difficult for me, but by the end, it was super easy! I started with one logo that I had made myself. The more I saw it on business cards, flyers, etc., the more I hated it. “I wanted a complete rebrand, so I turned to Autumn Lane, and should have started with them! Lily contacted me after receiving my questionnaire, and I explained everything I was looking for. She turned my vision into a complete reality so fast! “Moving on to my brand board and color schemes, Lily was so fantastic. I would work with her every day if I could. Looking ahead, Stephanie’s main goal is to grow her business. For now, she works part time at a local establishment, but intends to go full time in S&Company. She is passionate about her photography, and plans to make S&Company her dream career. Stephanie admits that her biggest obstacle has been overcoming anxiety. And who wouldn’t be anxious to find out that their school had been closed down? Getting the situation under control took 3 years of dedication and patience. Anxiety takes a toll on body, mind and spirit. Stephanie still has occasional bad days, but she’s not letting it stop her from doing what she absolutely loves. Her clients make her smile, and she loves coming home to edit all of her photographs. If anxiety has attacked you, know that you are not alone. There is always someone there, who wants to help you. How did Stephanie overcome her challenges and launch her dream business? She advises you to just follow your heart and always trust yourself, no matter what situation you come into. Just take a deep breath and always tell yourself, ‘I can do this.’ You may fall down a couple of times, but you are always going to get back up again and be better than before! Ready for your own amazing branding experience or perhaps help with a photography website? Reach out to our gifted design team here at Autumn Lane Paperie. We’ll help you make it happen! Are you a mom who dreams of owning her own business someday? That was Sophe B! Before her first son was born, Sophe was in the midst of a full-time career in finance. Today, she’s growing Sophe B Photography and loving every minute! Becoming a photographer and venturing into the creative world has always been a dream of Sophie’s. She’s energized by creating, doing, and making things, all the while connecting with those around. Nature and her surroundings greatly influence her work. And she’s intrigued by combining different colors, textures, and styles. When her first son was an infant, she realized how fast he was growing up. Naturally, Sophe wanted to capture all his every moves and special milestones. Traveling this journey of motherhood, this new mom realized that many other parents were on the same path. And so, Sophe B Photography was launched in Mansfield, MA, specializing in family photography. The art and process of photography allows Sophie to share her creative side with others, and to bring a warm smile to their hearts. Contact Sophe by email or check out her Facebook page, to book a session! I am a natural light photographer. My specialties are family and infant photography services including newborn, maternity, and baby milestones. In addition, I record special life happenings and events such as anniversaries. Mansfield, MA is my base and I also serve the New England Area. Sophe’s biggest obstacle was making the decision to go forward. In the beginning, she thought family photography would be fun to do on the weekends. With a full-time career in finance, she wasn’t too sure if she had the time, energy or resources. When thinking about the business side of things, she didn’t even know if she would love it at all. That was the little nudge and support that Sophe needed to overcome the hesitation. Many, many late nights were spent researching, learning, developing, and growing her business. It’s not just the creative process to be considered. But it’s everything else that comes with owning your business and controlling what you want and don’t want to do. BRAND IDENTITY IS CRUCIAL. But fun! Sophe found that the branding process was really easy and fun with ALP. 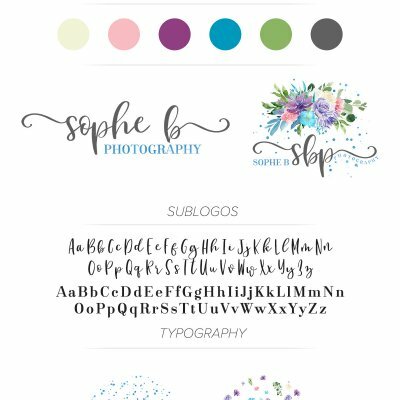 With Lily’s detailed, responsive and friendly help, all of Sophe’s preferences and ideas came together in one beautiful photography logo! They were exactly what she had envisioned! Overall, Sophe believes that having a strong brand will take my business to the next level and beyond. It’s the face of her business and the first thing that people will see when searching for family photographers in the New England area. It can be scary to think of launching your own business, blog or venture, but just go for it! Allow yourself the time to go through the overall process, digest all the good and bad, but never give up. At the right time, you will get to where you want to be. It can be exhausting, time consuming, and overall scary to step out and work towards your dream. But, don’t give up. You can do it, whether it’s part-time or as a side hustle or full-time. The time spent in getting your business up and running will be long, and may feel never ending. But the rewards and the sense of accomplishment will be bigger! The future is open with so many possibilities! Sophe still holds her full time finance position, and she makes sure to take care of her family, so she’s busy! She’s actively marketing locally in Mansfield and the New England area. In the future she hopes to collaborate with local businesses, to introduce more music, artwork, and other types of creative projects. Plus, she plans to start local photography and business-related courses for young children. Teaching them the basics of photography and incorporating the business/finance side will be Sophe’s investment in the next generation. Is that your aim in life, too? Get in touch with Sophe by email or on her Facebook page!